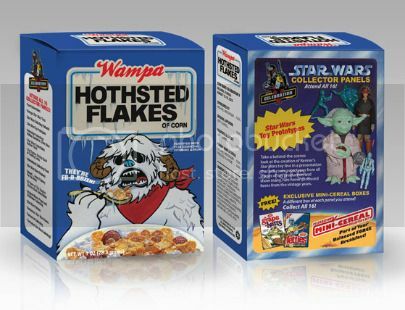 Four-hundred of these mini (4-inch-tall) Star Wars cereal boxes will be handed out at random times during the “Star Wars collecting” panels at Celebration V from August 12-15. 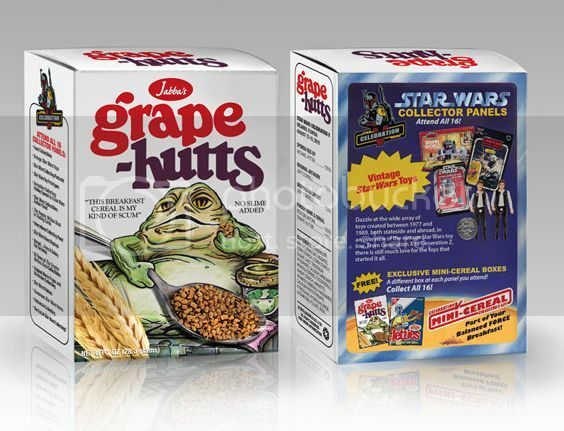 Chris Georgoulias led the effort working with collectors, sponsors, and artists, who contributed to the concepts, funding, and artwork of this completely fan-sponsored giveaway. 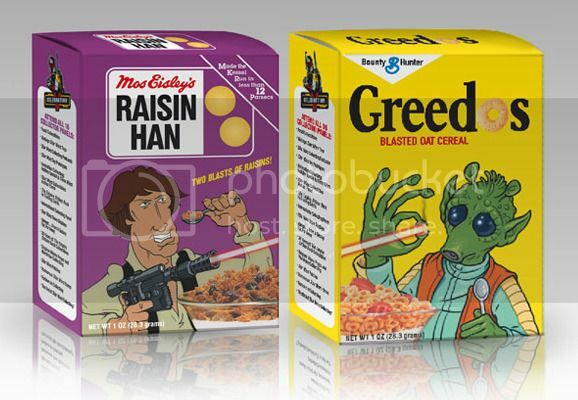 There are sixteen mini cereal boxes to collect… one for each panel, and they are exclusive to Celebration V! I knew there was a reason that was in my brain. It should come as no surprise that I am so easily influenced by things I see on TV.